Can the Commonwealth really be reimagined as a 21st century trading and strategic bloc? The logic is impeccable: with trade wars looming and the US withdrawal from its role as a net provider of global security threatening to cede ground to China, there is room for the Commonwealth to step into the breech as a stabilising factor. But can 53 countries put aside their individual interests for the greater common good? It is an idea whose time may have come, but are all the main players really as keen as those moving the grand idea? The 53-member Commonwealth is, arguably, the oldest multilateral body in the world, having survived decolonisation, coups, the suspension of some members and the rank disinterest of some others. Over the last few years, however, some of the world’s top trade and strategic experts have proposed tweaking the Commonwealth’s nearly century-old architecture to make the grouping a large global trading bloc and net provider of security in different trouble spots around the world. As the United Kingdom enters the business end of its messy and very expensive divorce with the European Union (EU), British Prime Minister Theresa May has declared that the exit is not a “move towards isolationism but rather, an opportunity to become even more global and internationalist in action and spirit”. But these will remain only brave words without any concrete meaning unless she and her successors can cut mutually beneficial trade deals, not only with EU but also with its other trading partners, and this is where the Commonwealth as a potential trading bloc comes in. Die-hard anti-colonialists will disagree but most people agree that the very nominal and titular leadership of the British monarch forms the soul of the Commonwealth, the glue that holds it together. 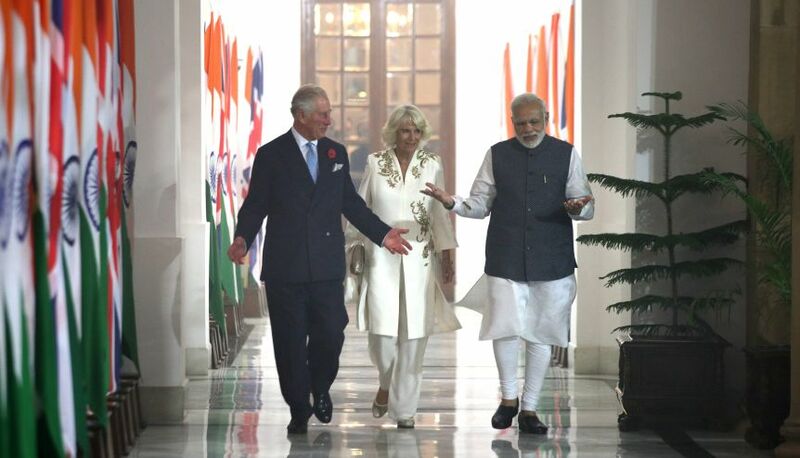 So, it is imperative for the UK, also as the Commonwealth’s largest economy, and India, as its second-largest and fastest growing, to take the lead, form a partnership, bring others on board and firm up a 21st century trade and strategic bloc on the superstructure of what is admittedly a colonial construct. The world is watching with bated breath to see if US President Donald Trump’s ham-fisted attempts to protect US industry, save American jobs and make his country great again will signal the start of an all-out global trade war. Many of the US’ largest trading partners have already declared their intent not to take Trump’s moves lying down. China, the world’s largest trading nation, has been making threatening noises for a while now and even the EU has now joined the chorus. Earlier in his presidency, Trump had torn up the Trans Pacific Agreement (TPA), which would have tied countries accounting for 40 per cent of global trading volumes into a single trading bloc. As a result, countries such as Australia, New Zealand, Singapore and India – all Commonwealth members – among others could find themselves under pressure from aggressive Chinese trade policies. A coming together under the aegis of the Commonwealth and securing mutually beneficial trading concessions could ease the pressure and open up new opportunities for economic expansion for all the 53 member countries. 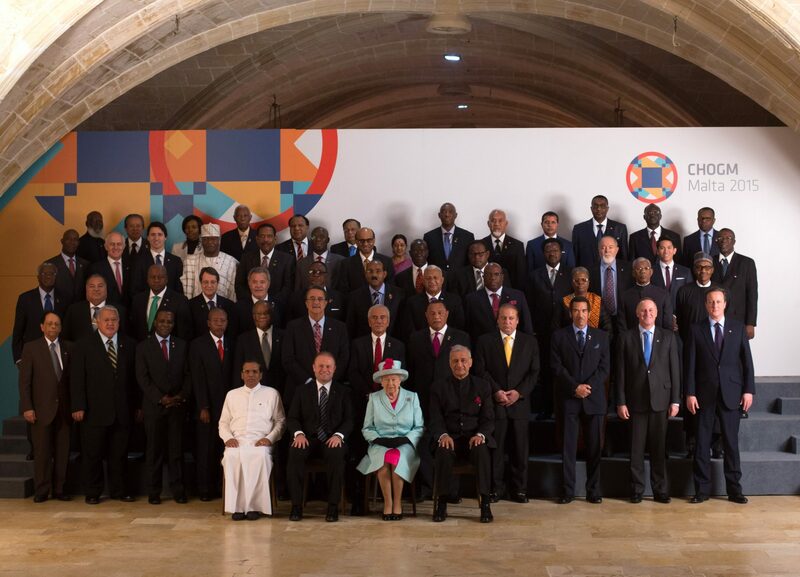 The Commonwealth Heads of Government (CHOGM) theme this year is “Towards a Common Future”. The goal: build on the strengths of the Commonwealth. Indian Prime Minister Narendra Modi, who has made global partnerships the bedrock of his foreign policy, will also be attending the summit. “India has done a lot on innovation and in every ministerial Commonwealth meeting, we see strong commitment from India. In welcoming that strong commitment from India, I am so happy to see it matched by the other 52 countries and the south-south cooperation taking place,” she said. The first building blocks of a trading bloc are being put in place. “Looking at the opportunity, we have launched a small and medium enterprise network in India and we are hoping to have a branch of that in the Pacific,” Scotland said, highlighting the fact that India alone accounted for about half of the Commonwealth’s 2.4 billion citizens. In keeping with its focus on business and commerce, a Commonwealth Business Forum, scheduled for April 16-18, will precede the CHOGM that will follow over the next two days. “India is a huge nation; it is bound to have a huge impact with its incredibly diverse economy. It is a really knock-your-socks-off economy and we should be really proud of it as a member and take every advantage that we can. Participation of Indian businesses at the Commonwealth Business Forum is just staggering in terms of the calibre, range, innovation and dynamism,” Richard Burge, CEO, Commonwealth Enterprise and Investment Council (CWEIC), said. The meeting next month will place at a time when it is evident that the Commonwealth will miss its target of $1 trillion in trade between its members, despite the 2016 summit that had flagged the “Commonwealth advantage”, which showed that trade between Commonwealth members was about 19 per cent cheaper than between those in non-Commonwealth countries. “The growth is slightly slower than we thought it was going to be because the global market has slowed down. We hoped it would be about a trillion by 2020 – the estimate now is it’s probably going to be about $700 billion,” Scotland said. Trade economists have noted that in a majority of cases, a country’s largest trading partners are also those with which it shares the greatest cultural connections. And that could be the starting point for reimagining the Commonwealth as a trading bloc – by extending Prime Minister Modi’s inclusive clarion call of Sabka Saath, Sabka Vikas (Development for all, discrimination against none) – to the comity of nations. In the days leading up to the trade minister’s summit in London last month, the Commonwealth Secretariat pointed to the “distinct Commonwealth advantage underpinned by shared values, the English language that serves as a bridge across diverse ethnicities, familiar institutions and similar legal and regulatory systems”. Shared values, similar legal systems and familiar institutions may be a good starting point but even a preliminary agreement to bind all 53 members to seek a common trading bloc will not be easy to achieve. Trading ties between the former colonies of the British Empire began to weaken when the UK decided to join the European Community in 1973. In the 45 years since, every large economy within the group has forged strong trading relations with other countries, regions and blocs that are now central to their economies. China, for example, is the largest trading partner of both Australia and India, though both countries are wary of the rising clout of Beijing in world affairs. Canada’s top trading partners are the United States and Mexico, while China (the 800 pound gorilla in the room) has emerged as a major benefactor to most African and many Pacific Rim nations. Then, the UK itself has deeper and more widespread linkages with the 27 countries in the European Union (EU) than it does with its former colonies. In 2015, for example, the EU accounted for 44 per cent of all exports from the UK. The comparable figure for the Commonwealth was a mere fifth of that. Africa and the Caribbean account for 32 Commonwealth members, or 60 per cent of the grouping. Almost all of them have signed Economic Partnership Agreements, which give their exports duty-free and/or quota-free access to the EU. Will they risk the EU’s ire – and the threat of such access being cut off or reduced, if Brussels chooses to play hardball – by signing on to a Commonwealth trading bloc, especially when their preferential access to the UK market will be cut off the moment the latter leaves the EU? “Those EU trade agreements are vital for (these states’) development goals. (And) the UK will no longer be able to champion their access to the EU market as we have in the past,” Sir Simon Fraser, former head of the UK Foreign Office, had said last year. Worse, till the UK and all these nations sign the proposed Commonwealth Trading Agreement or fresh bilateral FTAs, these former colonies will face severe challenges trading with Britain. Speaking about India’s support, Baroness Scotland thanked India for its great generosity of sharing its education, innovation and change platform called Massive Online Open Courses (MOOCs) with other Commonwealth members at the recent summit of the group’s education ministers. Earlier, India had also shared some instruments being created to get cheaper, better and faster processes at the Commonwealth Law Minister’s Meeting in the Bahamas. As we have already mentioned, UK Prime Minister May has reiterated more than once that Brexit is not about the UK isolating itself from the world but rather about giving itself the flexibility to fulfill its full economic potential free of EU’s rules. That message is being taken seriously in world capitals. Indian Finance Minister Arun Jaitley, during a UK visit in the aftermath of the Brexit vote, said the British government had insisted that London was not turning protectionist and that free trade would be the way forward. But selling this idea to the other Commonwealth countries will be a Herculean task. There were expectations after the June 2016 referendum in favour of Brexit that the UK would quickly finalise a free trade agreement (FTA) with India, both to signal to the EU its ability to strike such deals as well as to at least partially compensate for the losses expected from Brexit. Her choice of New Delhi as the destination of her first overseas visit as Prime Minister raised expectations further, but the lack of any movement on the issue belied those hopes. Typically, such negotiations take a long time as several knotty issues have to first get sorted. India, on its part, is in no hurry to seal either bilateral or multilateral trade deals unless the opposite side agrees to its demand to allow free movement of its professionals. This is understandable as the Indian economy is overwhelmingly service sector oriented and it is the skills and talent of its people that keep the wheels of its economy running at a fast pace. The UK, on the other hand, is not very keen to liberalise entry norms for Indian professionals as the Brexit vote was primarily driven by popular angst against unchecked migration from the EU. This is creating a seemingly intractable problem. Given the mandate in the UK against unchecked immigration, the May government cannot be seen to be making concessions for India. 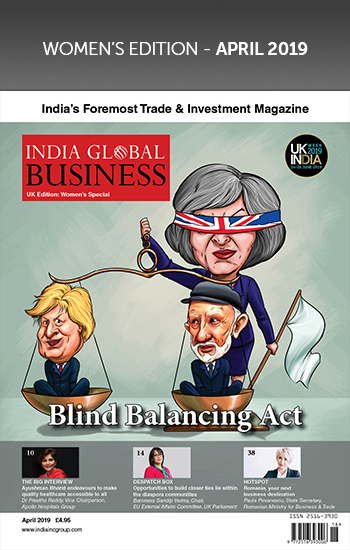 But given India’s needs, the Modi government, too, cannot grant liberalised trading norms for UK companies without a reciprocal gesture on the movement of Indian personnel into the UK. The same issue will almost certainly come in the way of any proposal to sign a Commonwealth Free Trade Agreement. But there can be no denying that there are huge synergies elsewhere. As Prime Minister Narendra Modi’s government steps on the gas on easing India’s business processes and walks the extra distance to link Indian businesses to the global value chain, free trade and preferential trading agreements with important partner countries will play a key role in helping India move to a higher growth trajectory. And membership of a large multilateral bloc could be just what the doctor ordered. With the US under President Trump indicating that it will pull back from its responsibilities as a net security provider to the free world, there is every danger of China, under its new President-for-life, Xi Jinping, emerging as the new global hegemon. He threatened, in a recent speech, to shed blood if necessary to protect China’s interests. The problem lies in the definition of this “interest”. Very often, as can be seen from Beijing’s posturing on the South China Sea and on Arunachal Pradesh, this is unilaterally defined by China and then sought to be enforced on the ground with diplomatic bullying, cartographic aggression and plain military blackmail. In such a situation, especially in the light of US withdrawal, the free world needs another net provider of security to protect the international order. No one country in the world is currently in a position to stand up to China. This is where the Commonwealth, backed by the military prowess of the UK, India, Australia and South Africa, can step in to check the aggressive rise of Beijing in the global power sweepstakes. The raison d’tre of a Commonwealth trading bloc remains basically sound. If it comes into being, it will be the only such bloc to straddle the entire globe. With a combined annual GDP of $10.4 trillion, annual growth of 4 per cent and a population of 2.4 billion, or 40 per cent of the world’s population, it will definitely carry a heft that no individual member can match. The potential benefits of such a trade bloc could be humungous. The UK would find a readymade, if somewhat smaller, substitute for the EU; Australia and India will definitely welcome the emergence, and their own leading roles, in another global counterweight to an expansionist China, while mid-sized economies such as South Africa and Nigeria will benefit from being part of a large trading zone. And the smaller African and Caribbean nations will get a platform that will stand up for their interests and make it easier for them to sell their wares across the globe. Can such a disparate grouping, born more out of nostalgia than need, come together to address the aspirations and demands of 2.4 billion people. It is true that the Commonwealth is rooted in the idea of Empire, a bad idea whose time is clearly up. It’s a fact acknowledged everywhere, including, in the UK. But is its reinvention as a modern 21st century trading and economic bloc an idea whose time is here? We will have to wait for the CHOGM in April for clues to the answer.